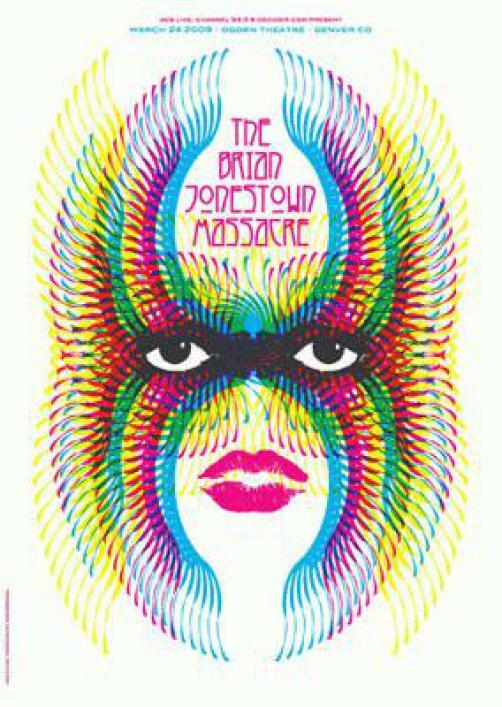 Original concert poster for The Brian Jonestown Massacre at The Ogden Theater in Denver, CO on March 24, 2009. Artist- Dan Stiles. 18x24 inches. Signed and numbered edition of only 175.